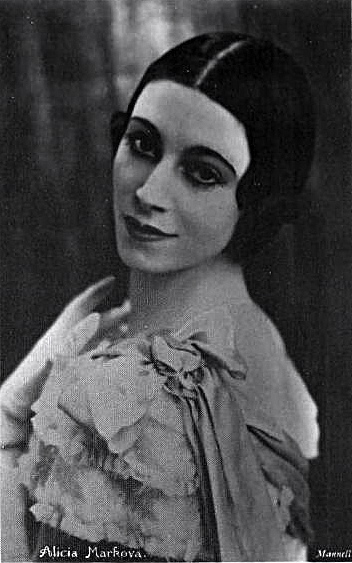 Alicia Markova had a career filled with firsts: the first British-born – and first Jewish – prima ballerina assoluta, the first to appear on television (in 1932! ), the first self-managed “freelance” prima ballerina, and the first to appear on stage in just a leotard without a tutu – quite a scandal in 1925! In 1940, Markova would also become America’s first Sugar Plum Fairy, but more about that shortly. 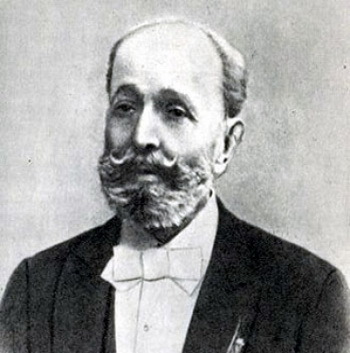 How Markova came to master the original 1892 choreography is quite a story in itself, and it begins with a man who would become infamous in Russian ballet circles: Nicholas Sergeyev (1876-1951). 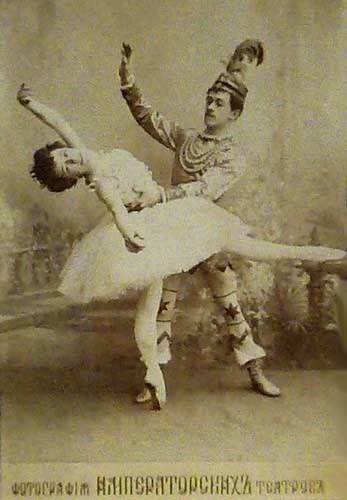 Sergeyev joined the Imperial Ballet in 1894, two years after The Nutcracker (Casse Noisette) premiered at the Maryinsky Theatre in St. Petersburg. Set to an enchanting score by Piotr Tchaikovsky, The Nutcracker was a shared choreographic effort by the company’s Premier Maître de Ballet Marius Petipa, and his talented assistant Ballet Master Lev Ivanov (who took over when Petipa became ill). 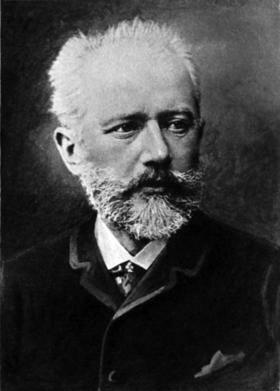 The ballet was not initially popular, falling far short of the success of the Petipa/Tchaikovsky classics The Sleeping Beauty and Swan Lake (the latter also with contributions by Ivanov), and Petipa’s magnificent reimagining of the French romantic ballet Giselle (Markova’s signature role). To preserve the choreography of all those time-honored works (and countless others), the Imperial Ballet undertook a 20-year documentation project painstakingly executed by a variety of ballet masters. Their detailed notations contained analysis and deconstruction of every step and movement in relation to the musical accompaniment. When finished, it was a virtual bible of Russian classical ballet. 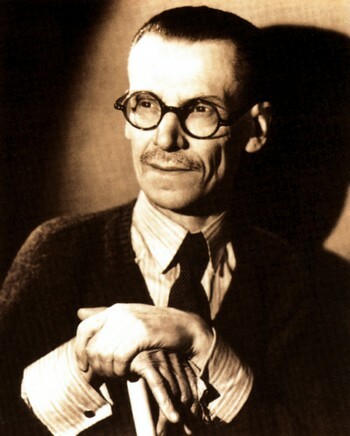 Sergeyev – first a dancer, then a soloist, and finally régisseur-général (chief stage manager) at the company – supervised the tail-end of the documentation. Due to his dictatorial manner, he was unpopular with the dancers, and later, the government. Following the Russian Revolution in 1917, Sergeyev would be forced to flee his homeland – but not before spiriting away the bulk of the invaluable choreographic material. While Sergeyev later found employment at Sergei Diaghilev’s grand Ballets Russes, by 1932 he was poor, unemployed, and living in exile in Paris. It was at this time that British balletomanes decided to form a homegrown company. Made aware of Sergeyev’s situation, they asked if he’d consider re-staging the famous Russian classics in London. Sergeyev happily complied and taught the original choreography of Giselle, The Nutcracker, and Swan Lake to the reigning star of the Sadler’s Wells Ballet (today’s Royal Ballet), Alicia Markova. 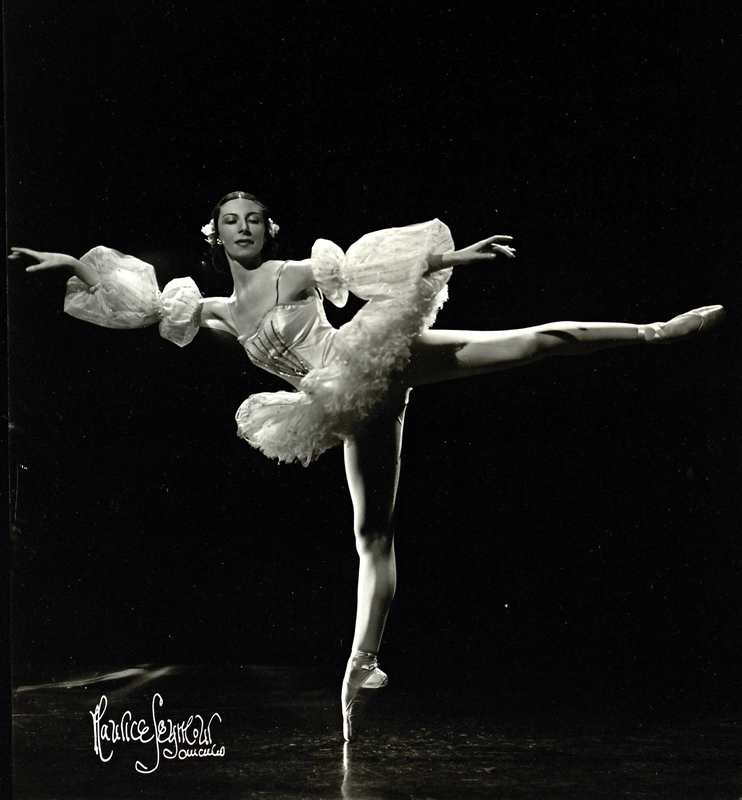 By 1939, Markova was a star ballerina with the Ballet Russe de Monte Carlo and performing throughout Europe and the United States. 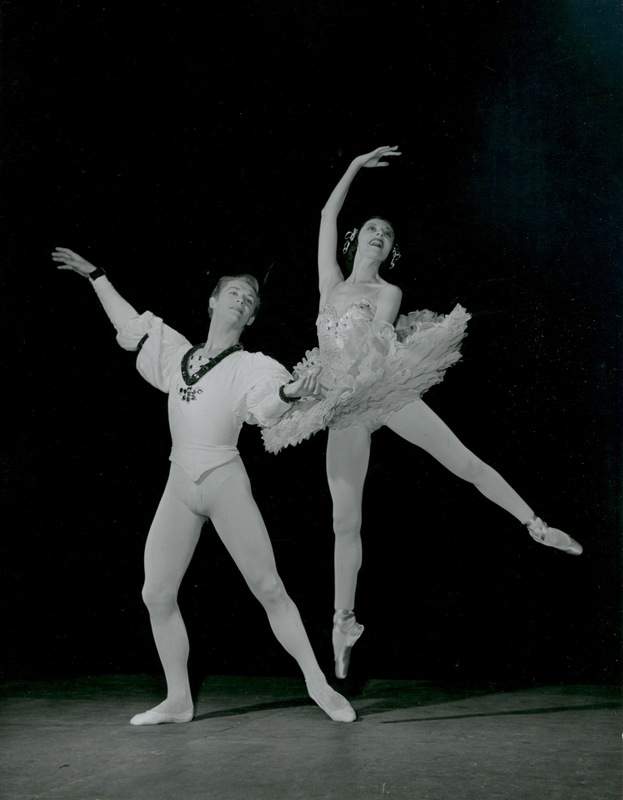 The following year, Alexandra Fedorova (a former Maryinsky dancer and the sister-in-law of famed choreographer Michel Fokine) was asked to choreograph a shortened version of the Petipa/Ivanov Nutcracker for American audiences. 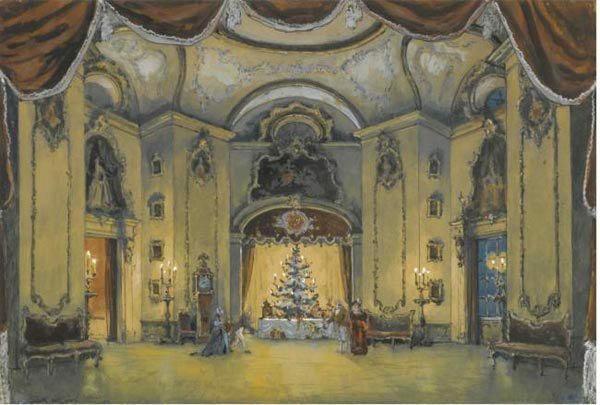 The sets and costumes were designed by Alexandre Benois, a former Ballets Russes favorite living in France. As the 14-year-old Markova had been the youngest-ever soloist at the Ballets Russes, she greatly enjoyed the reunion. While Markova’s Giselle was always a must-see night at the ballet, her Sugar Plum Fairy enchanted audiences throughout her entire lengthy career. In 1952, she performed the role for an audience of 30 million when she danced the snowflake scene on the hugely popular TV program Your Show of Shows, starring Sid Caesar and Imogene Coca. And the Sugar Plum Fairy was part of her repertoire the following year, when the 43-year-old bewitched audiences throughout Great Britain and Ireland partnered with the sensational Milorad Miskovitch (18 years her junior!). Growing up in New York, my introduction to The Nutcracker was George Balanchine’s sumptuous production for the New York City Ballet. 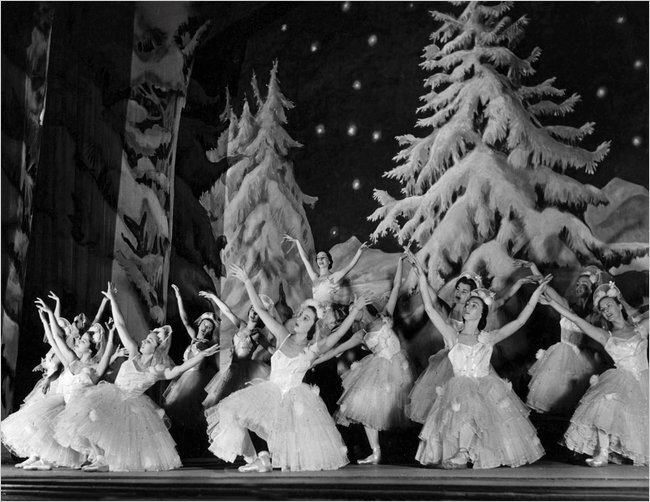 First performed on February 2, 1954, this resplendent annual treat made me a ballet fan for life. (And Tina the Ballerina sounded so lovely when I was 5 years old.) As an adult, I felt the same magic while watching Mikhail Baryshnikov fly through the air in his own lauded Nutcracker for the American Ballet Theatre. 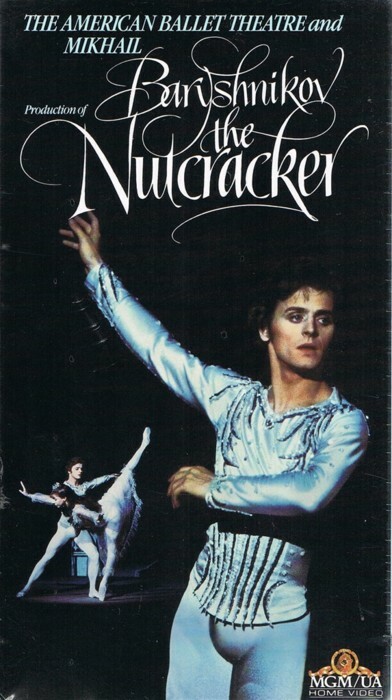 Filmed in 1977, it is one of the mostly widely viewed Nutcrackers in the world.